We have 1,000’s of options to choose from. Talk to a representative for any questions. There are plenty of places online where you can design a t-shirt. Do you know how to use special effects, have the best eye for color combinations, and know the advantages and limitations of the silk-screen t-shirt process? If you are not a t-shirt and design expert, why not have us design your shirts for free. You can talk to us, tell us the use and longevity you desire, and we will recommend the right product for you. We have talented, professional designers ready to make your t-shirt project amazing. Whether you desire a white shirt with 1 color of ink, or a combination of sizes and colors, we are the best choice to make your project come out the best possible. Our press allows up to 11 unique colors. Did I mention we are fast? Good Guys Signs turns complex t-shirt jobs in a couple days. Rush custom printing is available. 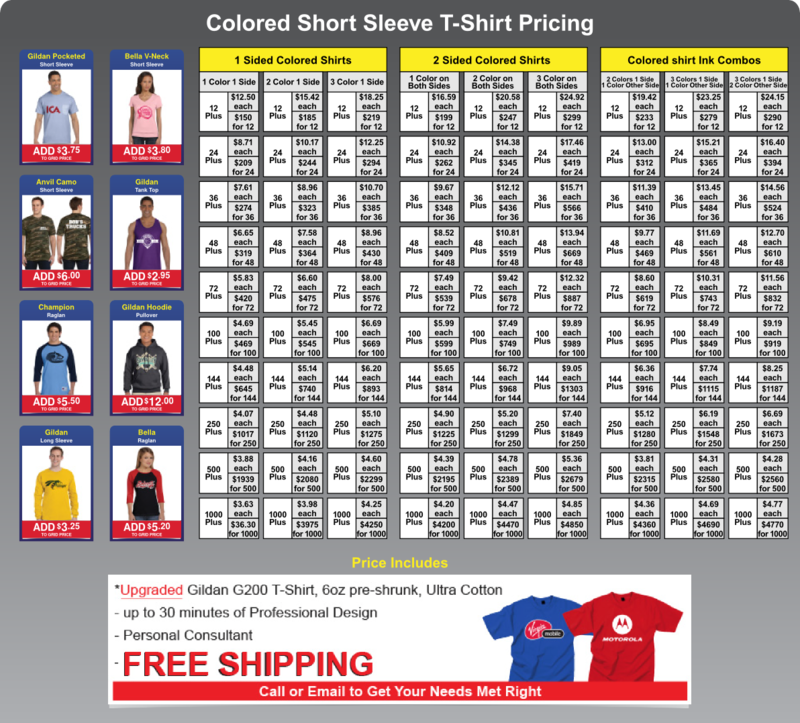 We are a trusted source for custom printed t-shirts by national and regional companies. Quality shirts, quality inks, experienced people. We can also screen print bags, jackets, hoodies, and more. 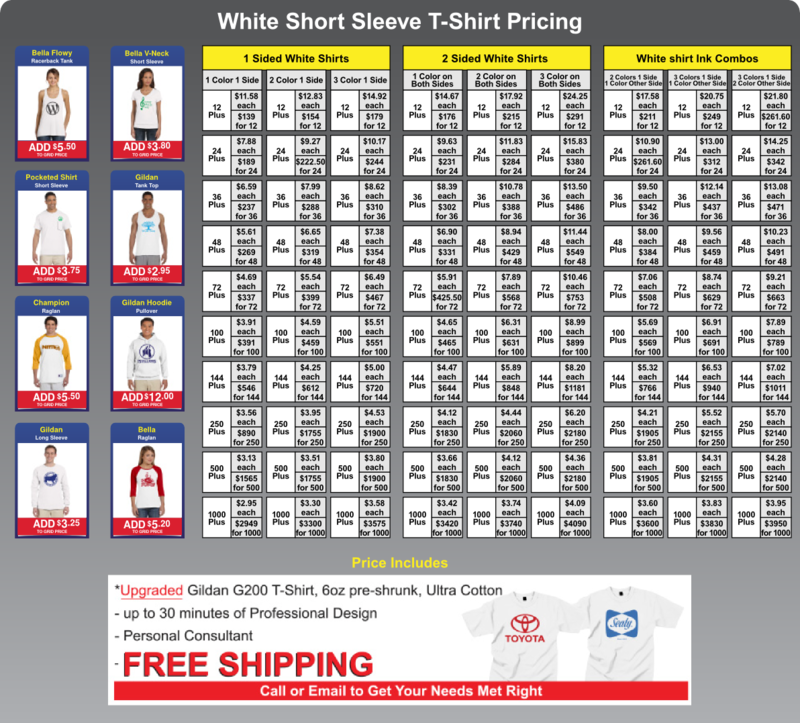 Do you need unique numbers on sports shirts? We can do it.